Many scientific reports have indicated that the health risks associated with electromagnetic radiation are much higher than initially understood. Governments have responded by lowering the allowed exposure limit for humans from electromagnetic radiation. Yet at the same time the proliferation of electromagnetic radiation emitters escalates an alarming rate. Beyond conventional high tension power transmission lines crisscrossing the landscape, we now contend with high density cell networks, LAN and WIFI systems, all operating in the microwave region. Because there are long term health risks associated with electromagnetic radiation, it is prudent to locate areas of exposure. Many electromagnetic radiation sources investigated in this report are quite common, though less known sources merit attention especially due to the practice of concealing emitters. 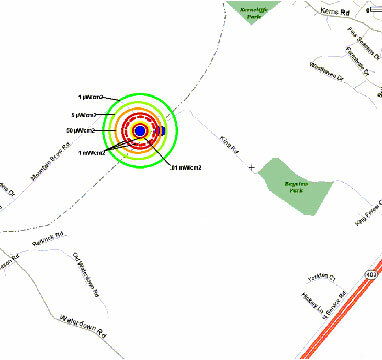 Electromagnetic radiation measurements used in this report were obtained with a Heliognosis emm, an omni-directional broadband monitor. More information about its specifications can be found on the EM2 page. Very low frequency AC fields, such as from power lines, drop off rapidly as you move away from the source following the inverse square of the distance. This is not the case with radio waves that decrease quasi-linearly with distance. Cell transmissions and microwaves also fall off somewhat linearly but may be directed to keep their intensity over large distances. In practice the fields around electromagnetic sources are much more complex due to the landscape, atmospheric conditions and antenna geometries. Proximity to the ground, being inside structures with significant amounts of metal are factors which can also reduce the field strength. The AC electrical wires inside a house or apartment surround the occupants with an almost uniform very low frequency electromagnetic field. The AC voltage in relation to ground may be at a very high level inside a house (180V peak) but variations in the field will be much smaller. These variations are perhaps a few volts and will result in readings of about 0.1uW/cm2. The actual electromagnetic power density between head and foot for a human might actually be over 1mW/cm2. Several appliances and electrical fixtures tend to produce large amounts of electromagnetic radiation. The worst offenders are usually microwave ovens, compact fluorescent light bulbs and televisions. 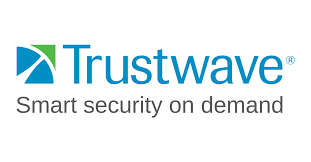 Wireless phones have low output but their frequency of operation is typically in the most dangerous region of the electromagnetic spectrum. Cell phones are especially hazardous since the microwave radiation they emit is close to the user's head. The newer digital phones however have less average power than the analog types. In any case it is always prudent to use an external headset to keep the antenna away from the body. Exposure is also cumulative therefore short conversations give less radiation. When cell and wireless phones are waiting for calls, the radiation levels are very low on average and are not dangerous. Compact fluorescent light bulbs are widely considered an environmental solution to replace the ubiquitous incandescent light bulb. Yet few consumers are aware that compact flourescent bulbs have a noisy high voltage, high frequency circuit inside to trigger and maintain their glow. Since the operating frequency of these bulbs is below the AM radio band, there are no restrictions on the amount of electromagnetic radiation that they can generate. Manufacturers have strived to make the lowest cost bulbs using unshielded circuits that generate very high field levels. 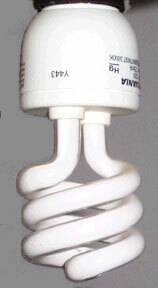 An example of a compact fluorescent bulb is shown in figure 2a. 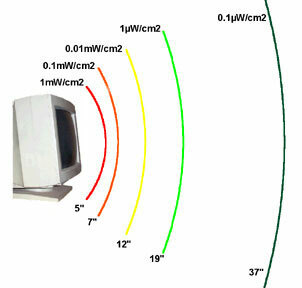 Figure 2b shows that the field strength within one inch of the bulb is an incredible 100mW/cm2. Televisions and computer monitors are in the process of being superceded by LCD technology as the quality and cost of these new devices improves. Nonetheless many consumers still use cathode ray tube (CRT) televisions and monitors in their homes and at work. A CRT contains a high voltage power supply and electron gun that beams electromagnetic radiation and x-rays into the surrounding environment. Some manufacturers have managed to reduce emissions in their CRT products, though many models still spray large amounts of electromagnetic radiation. 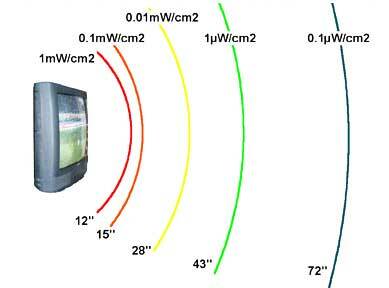 Here are measurements from three examples of CRT type TV and monitors. 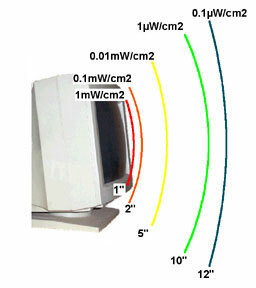 In Figure 3 the 27" TV has a high electromagnetic radiation emission in the first 12 to 15" from the front of the screen. The safe watching distance is beyond the lime green line at 43". The monitor in Figure 4a is an old 13" made by TTX. It has no emission reduction on the face of the screen. A person using this monitor should sit at least 19" back from the screen to reduce their exposure to a safe level. The Viewsonic 17" monitor in Figure 4b is a low emission type. The radiation level is safe beyond 10". Our cities have now become a network of microwave generators on towers, clustered on top of apartment buildings, on transmission line towers, hanging on everyone's belt or in their purse. Add to this the myriad of emergency and safety transmitters, TV and radio broadcast towers, airport navigational and communication systems, amateur radio operators and military communications. To make matters worse, each cell network provider has their own network, multiplying the exposure by the number of providers. In many urban centers, especially around major highways and the downtown core, the radiation levels can be dangerously high. The same now is true for heavily traveled rural routes where nature is routinely interrupted by a cell tower in a farmer's field. 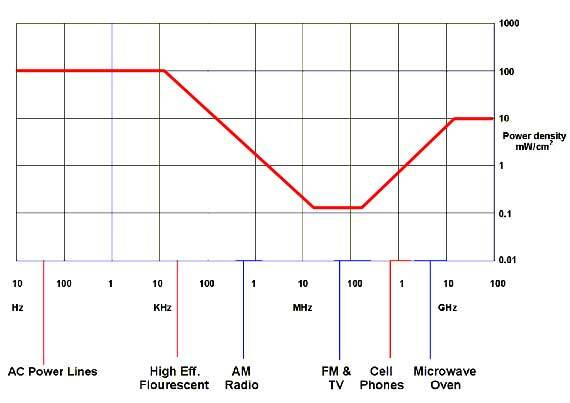 Electromagnetic radiation from FM radio stations, aircraft and police communications and TV stations are the most dangerous due to their resonance with the human body. This range is generally accepted as being between 30 and 300 MHz. Radio and TV towers are often located on top of tall buildings, on fixed towers or phased array tower farms. Because of their high power (often tens of thousands of watts) and long range care must be taken in their presence. The CN Tower in Toronto, Canada is a good example of a multi-use tower containing broadcast and communications of almost every type. Residents are obviously familiar with the antenna mounted on the top. 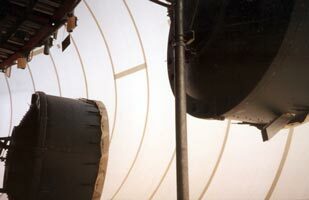 Somewhat less well known are the microwave transmitters beneath an air inflated radome below the main observation deck as revealed in figures 5a and 5b. 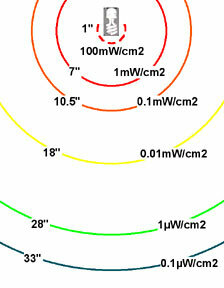 Figure 6a shows the radiation pattern around the CN Tower (figure 6b). The highway that runs just south of the CN tower is about 20 feet above ground. The readings on the highway are 10 times higher than at ground level. Cell phones operate in the 800-900MHz frequency range with some services being provided around 1.8 to 1.9 GHz (PCS). Cell phones transmit between 0.1 and 1 watt depending on the service. Cell towers are typically limited to 500 Watts of effective radiated power (ERP) per channel for large towers and less than 100 watts for smaller towers in urban areas. Micro and pico installations on the sides of buildings or between floors may have ERPs of less than 10 watts per channel. A typical tower may have 63 channels with an effective power of 6.3kW. 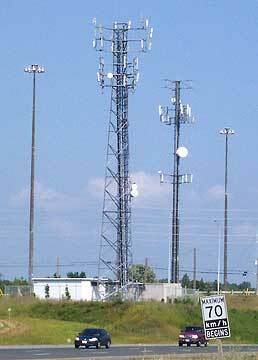 Figures reported from government1 or industry sources claim that radio frequency levels at the base of cell towers are very low, perhaps 1uW/cm2. While this is true it is also somewhat misleading. Cell tower antennas are directional and aimed so that their maximum power density will hit the ground at some distance from the tower, usually several hundred yards away from the base. To understand the strength of the electromagnetic radiation around a tower, it is important to take readings at several distances and at different heights if possible. Figures 7a and 7b shows an example of a twin tower installation. The electromagnetic radiation is very intense in the immediate vicinity of the towers on the elevated highway and peaks again almost 800 yards south of the towers. Since the electromagnetic resonance in the head ranges from 400MHz for adults and 800MHz for infants, dangerous exposure can occur close to cell towers especially over prolonged periods of time. In addition to the cell transmissions, microwave communications are often installed on the same towers typically appearing as dishes or drums. 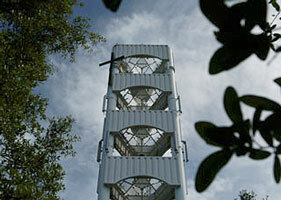 A new alarming trend is the so-called stealth tower installations. 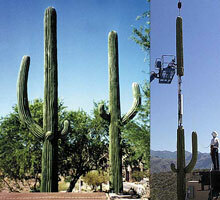 Cell transmitters are creatively hidden in fake trees, cactus, water towers, grain silos, church steeples and elsewhere. They also can be located inside buildings such as casinos and amusement parks close to ground level. Figure 8 reveals a few examples. A series of communication antennas was found on the Niagara escarpment, adjacent to the Bruce Trail hiking path. A sign at the site entrance clearly warns that there are dangerous levels of radiation in the area. Our survey found that the radiation level just above the ground was in excess of 1mW/cm2 everywhere on the antenna property as shown by the dashed red line in figure 9a. The radiation level along the road and at the entrance to the trail head was between 0.05 and 0.1mW/cm2. All of these levels are around the maximum allowed limit. 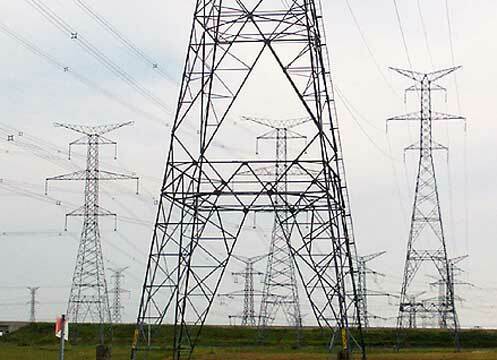 High voltage AC transmission lines are usually strung on towers at various levels above the ground. Due the high voltage, the ELF (extremely low frequencies) electromagnetic field around these structures is intense. Figure 10b shows a segment of a transmission line containing two parallel sets of lines. The red lines are directly below the high tension wires. The radiation from AC power drops off very rapidly as you move away from the lines but levels off at 0.01mW/cm2 over highway 407 and the adjacent residential neighborhood. 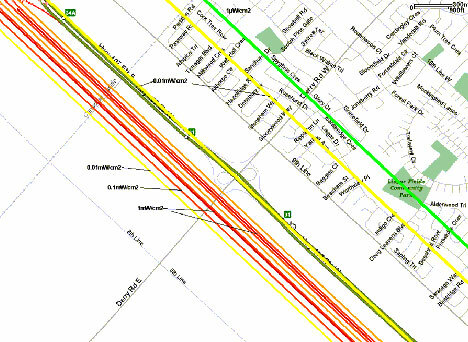 The green line, indicating a level of 1uW/cm2 begins at 1.5km from the power lines. 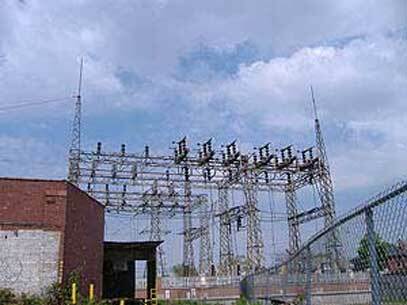 Measurements were taken around the Stirton transformer station and the incoming high tension feed lines in Hamilton, Ontario. The feed lines are closest to the ground immediately before they enter the station at point #4 where the AC electromagnetic field is 1mW/cm2. The high tension lines pass over Powell park with a reading of 0.1mW/cm2. The residential neighborhood immediately to the right of the power lines drops off to 0.01mW/cm2 by the time it reaches the rear of the backyards. On the opposite side of the transformer station where the voltage has been stepped down to residential levels, the levels are much lower at 0.001mW/cm2 or less. 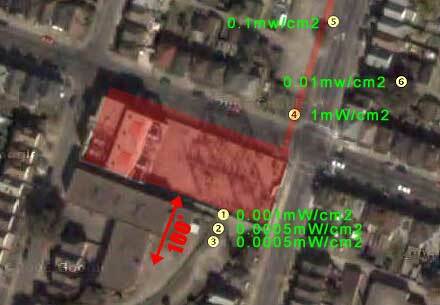 An aerial photograph of the station and feed lines is shown below in Figure 11a. The residential neighborhood immediately to the right of the power lines drops off to 0.01mW/cm2 by the time it reaches the rear of the backyards. Properties close to high tension lines and cell towers will increasingly be perceived as hazardous and consequently have a lower property value. The safe exposure limit for ELF AC from power lines has been set at 100mW/cm2 by IEEE for thermally induced cell damage. Exposure to AC fields much below this limit may cause non-thermal cell damage or immune disfunction. This is the subject of much scientific research to determine the possible health hazards2. Mounting evidence, especially from the recent Swedish study3showing that cell radiation causes nerve damage at very low doses, are beginning to draw our attention to the potentially dangerous electromagnetic radiation in our environment. It is possible to limit the exposure by selecting low emission products such as LCD displays and shielded lighting solutions. Other options include careful selection of an electro-magnetically surveyed residential property as well as the careful placement of office equipment in the workplace. Using external car antennas and hands free attachments with cell phones also aid in keeping the radiation away from the body. The best advice is to be aware of the sources of radiation around you. © 1996 American Radio Relay League, Inc.